Design Baby Posters In Minutes! Design adorable posters for your munchkin’s special day. 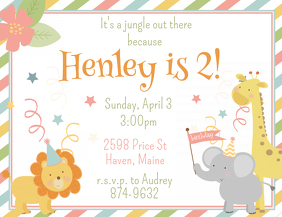 Be it a baby shower, a birthday, or an announcement, choose from thousands of templates for all! Edit the baby poster with text using a variety of fonts, images, stock photos and a lot of useful editing tools and be done in minutes!